Concluding a series of shows about H.P. Lovecraft, Alex Fitch talks to three creators who have recently penned comics inspired by his monsters and scenarios. Dan Abnett and Andy Lanning talk about adding a Lovecraftian twist to Marvel Superheroes in their titles Realm of Kings and The Thanos Imperative, which feature alternative versions of Captain Marvel and the Avengers possessed by the ‘Many-angled Ones’. Also Ed Brubaker discusses Fatale, his latest collaboration with artist Sean Phillips, following Sleeper, Criminal and Incognito, which mixes noir storytelling with occult ceremonies and tentacle-faced Nazis. On Saturday 10 December, Virginie S&#233lavy was Zoe Baxter’s guest on the show Lucky Cat to discuss the East Asian film releases of 2011, including The Yellow Sea, Villain, Gallants, Sparrow and The Ghost Cat and the Shamisen. To listen to the podcast, go to the Lucky Cat website. Continuing a month of shows about H.P. Lovecraft, Alex Fitch talks to Alan Moore about his final graphic novel that isn’t part of the continuing League of Extraordinary Gentlemen narrative – Neonomicon – which has just been published, along with its prequel The Courtyard, as a graphic novel by Avatar Press. Both comics follow on from Lovecraft’s tale ‘The Horror at Red Hook’ and Alan discusses why he chose that story in particular to explore further, plus the origins of The Courtyard in an abandoned short story collection called ‘Yuggoth Cultures’, and examples of Lovecraftian imagery in his League of Extraordinary Gentlemen saga. Listen to the podcast on Panel Borders. Alex Fitch talks to director Tom Guerrier about his short film Cleaning Up, featuring Doctor Who stars Mark Gatiss and Louise Jameson as a hitman and his landlady; and to Adam Hamdy, co-director, and actors Jay Sutherland, Gavin Molloy, Simon Burbage and Lee Ravitz, about Pulp, a caper movie set in the small press comic community. Both films are starting to tour festivals and Alex talks to their creators about the making of each project and their ambitions to get the films to larger audiences. 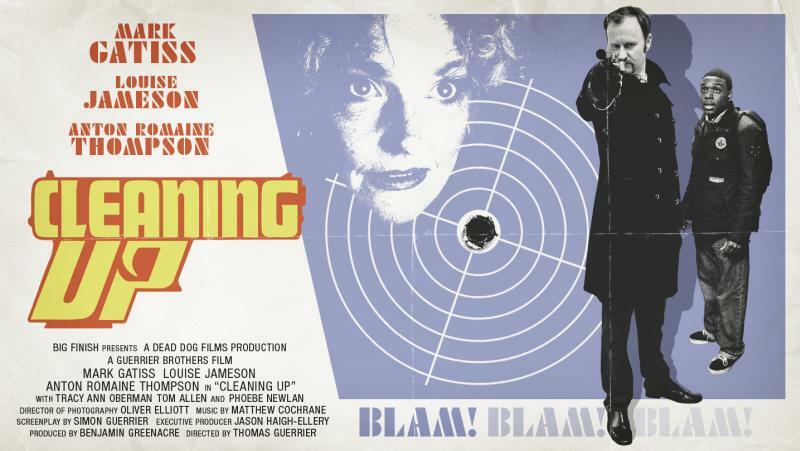 Cleaning Up will be screening next on 10 January 2012 at the London Short Film Festival at the Riverside Studios, Hammersmith. The LSFF runs from 6 to 15 January 2012, celebrating the very best in contemporary British short filmmaking and providing a snapshot of the UK film scene. More information on the LSFF website. Pulp receives its UK premiere on 2 February 2012 at SFX Weekender Sci-Fi convention, Prestatyn Sands, Wales. Virginie S&#233lavy and Electric Sheep contributors Jason Wood, director of programming for Curzon cinemas and author of The Faber Book of Mexican Cinema and 100 Road Movies, former Plan B editor and musician Frances Morgan, and writer Eleanor McKeown talk about the best films, shorts, re-issues and events of the year.